In this novel we have Sara, a ghostwriter, and Seth, a ghost writer, and they fall in love with each other. 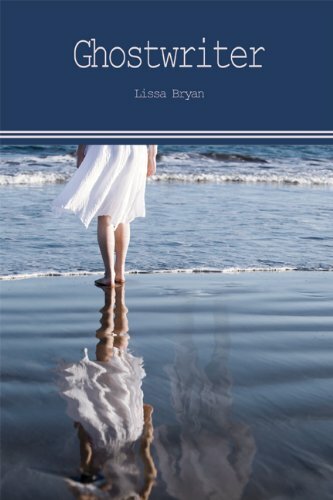 It happens on an island where Sara, who has been contracted to ghostwrite a politician's biography, has rented out the house where her favourite writer, Seth Fortner, wrote his books in the first quarter of the 20th century. Ghostwriter' is an agreeably written paranormal romance with fantasy twists, that is bound to please fans of this genre.